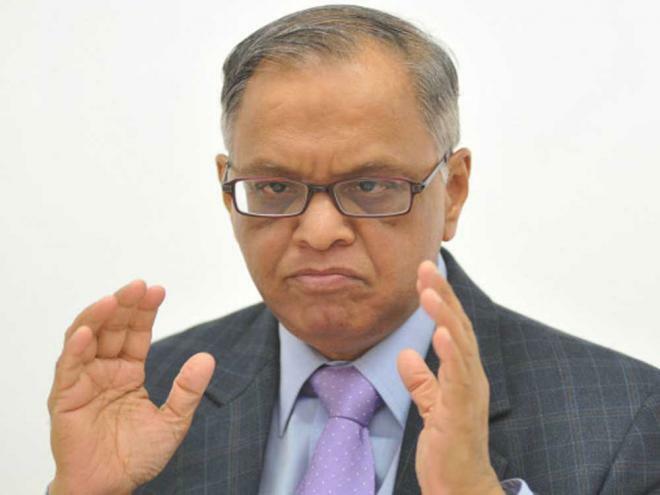 "...It is sad...," Murthy told in an email reply to a PTI query about recent IT layoffs. Murthy, however, did not elaborate on the matter. Infosys had announced that it could hand out pink slips to hundreds of mid and senior-level employees as it carries out bi-annual performance review amid a challenging business environment. The US-based Cognizant had rolled out a voluntary separation programme for directors, associate VPs and senior VPs, offering them 6-9 months of salary. According to executive search firm Head Hunters India, the job cuts in IT sector will be between 1.75 lakh and 2 lakh annually for next three years due to under-preparedness in adapting to newer technologies. A report submitted by McKinsey & Company at the Nasscom India Leadership Forum said, nearly half of the workforce in the IT services firms will be "irrelevant" over the next 3-4 years. While the outsourcing model has placed India on the global map, increasing scrutiny and rising protectionist sentiment are also posing challenges for the USD 140 billion Indian IT industry.